While you are going to buy a smartphone, the first thing which will come to your mind is the battery life of the smartphone which you are going to purchase. These days, smartphones are coming along with Lithium-Ion batteries. Everyone wants to stay in touch with their family and friends, and in this situation if battery dies, anyone can feel bad about that. Here we are going to offer you some tips following which you can keep your battery healthy. These tips will work on all android and other platform smart phones. Wi-Fi, then it will use it. Turn it off while you are using your Wi-Fi. It helps you saving loads of battery. Bluetooth and GPS play major role to eat your battery, it should be turned off when not in use and make sure that your mobile is plugged in when these two are turned on. 2. Tuned Display or Brightness: – Always try to maintain the brightness of your smart phone or you can set it to “Automatic Brightness” option. Black wallpaper on your screen will help a lot to preserve the battery. 3. Managing your Tasks: – Task Manager will let you know about the back ground running software, so you can go ahead and switch them off when not in use. 4. Keep the Battery charged :– Always try to keep you smart phone’s battery charged so before leaving your house you will have a full battery along with you where ever you go. 5. Try to make less Tittle-Tattle:- Now a day’s smart phones come along with many communicative apps which would require Bluetooth, GPS, Wi-Fi or NFC. These are the major culprits and the victim is your phones’ battery. Always keep in mind to turn off Blue Tooth, GPS, Wi-Fi when you are not using it. 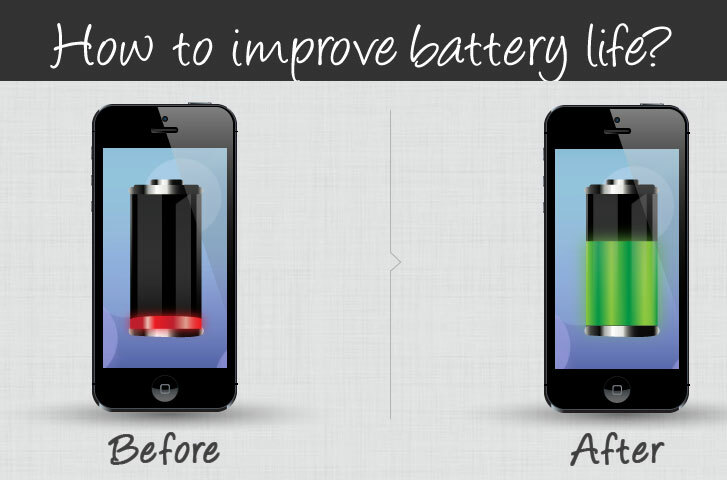 This will help a lot to save your phones’ battery life. 6. Turn on the power saving mode: – Smart phones also came along with the power saving mode. By selecting this mode, it will help controlling CPU and screen power. “Haptic Feedback” will also let you know about some specific function which is running on the back ground utilizing the battery. You can also keep your phone on “Airplane Mode” if you are not going to use it for more than an hour. 7. Get an Assistant: – There are multiple Battery-optimized Apps are available in the market. You can download anyone which will be comfortable with your smart phones’ platform. These apps will help you out to manage the resources and to save battery’s life. “Clean-master” and “Juice Defender” are some of the popular battery-optimized apps. This will help you to keep track of the back ground running software and to clean the junk files as well from your mobile. Well in the end, I am pretty sure that above mentioned seven steps will surely assist you to save the life of your phones’ battery.